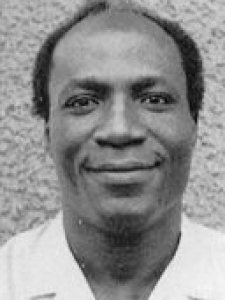 Akyeampong was educated at the University of London where he obtained his PhD in mathematical physics in 1966. He is professor of mathematics at the University of Ghana; chairman of the National Accreditation Board in Ghana; and member of the West African Examinations Council and the Natl. Council for Tertiary Education, Ghana. His previous positions include: Various posts at the University of Ghana; visiting scientist at ICTP, Trieste, Italy; various posts at Rivers State University of Science and Technology in Port Harcourt, Nigeria; pro vice chancellor of the University of Ghana; vice president of the Ghana Academy Arts and Science; vice president of the International Council for Science (ICSU) in Paris; and member of the executive board, ICSU. He is a fellow of the Ghana Academy of Arts and Sciences and the World Academy of Art and Science. Keywords	 Theoretical physics; symmetry groups in physics; grand unified theories.